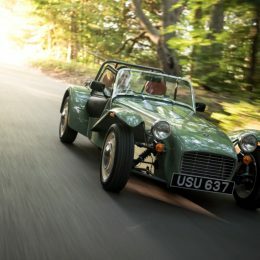 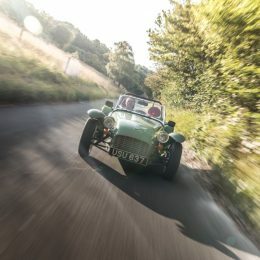 Caterham Cars has built a variant of its iconic Seven that was seemingly planned in the mid-1960s but never launched – the Caterham Seven Sprint. 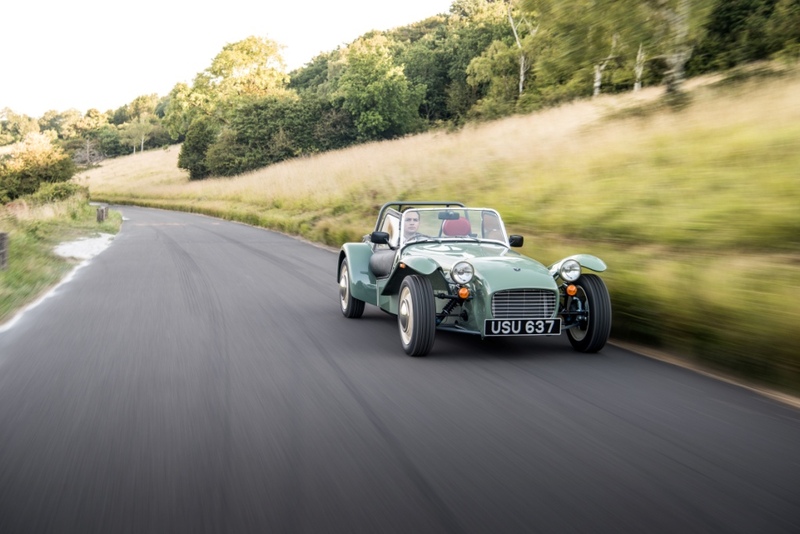 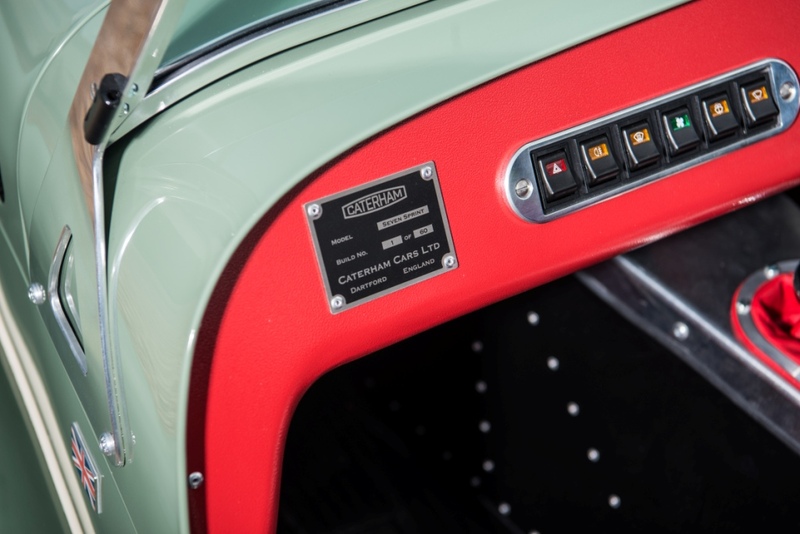 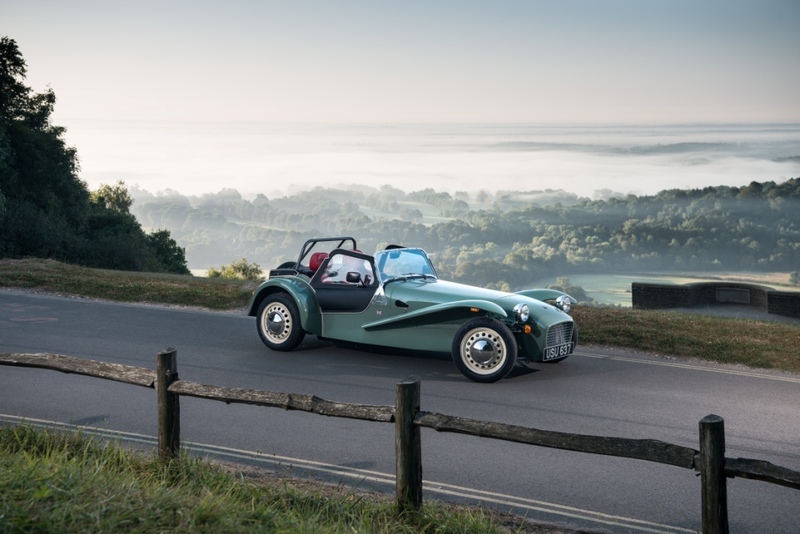 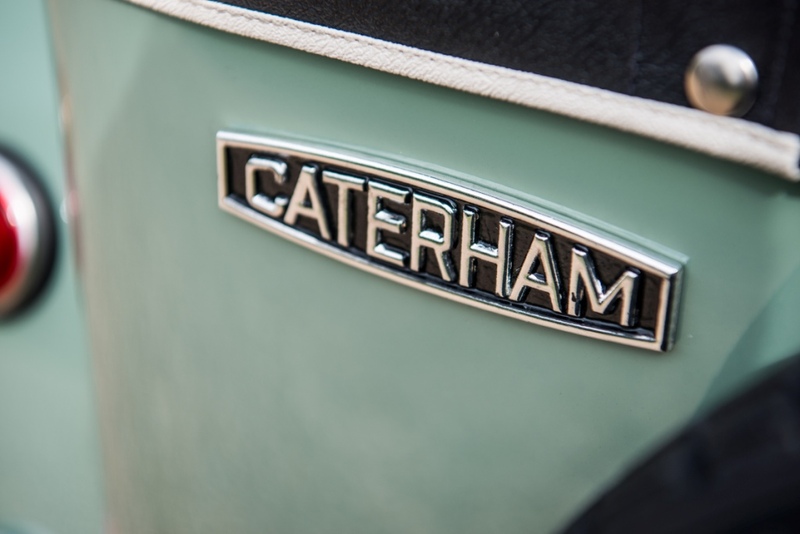 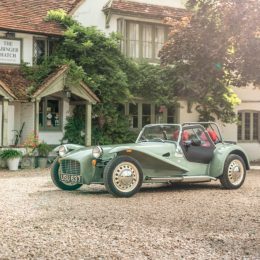 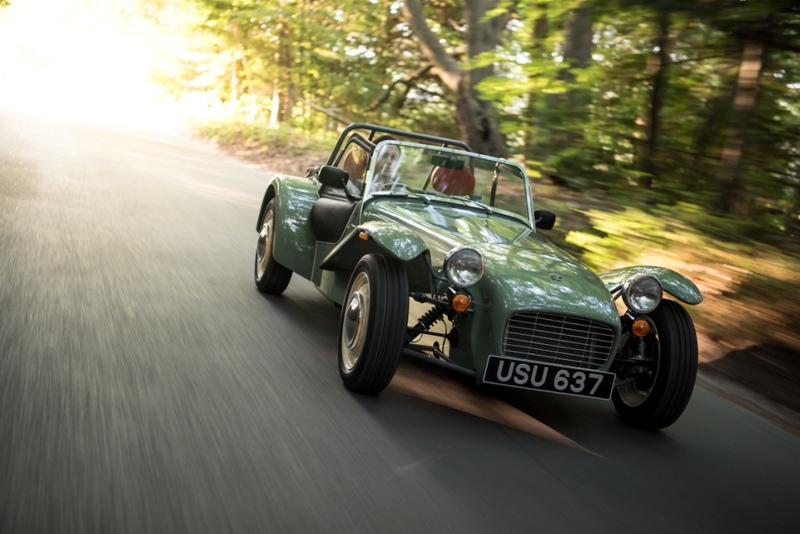 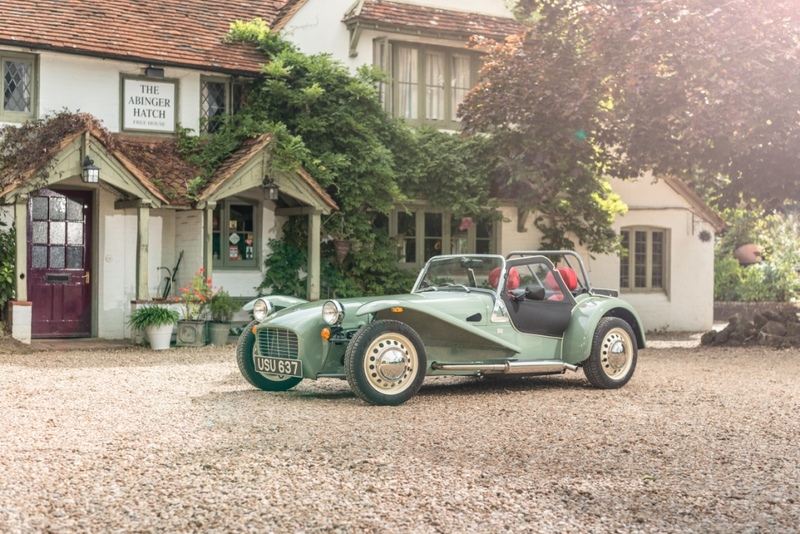 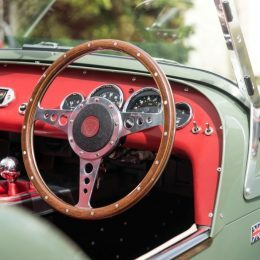 As though dug up in a time capsule, the retro detailing of the Caterham Seven Sprint will delight Seven purists and provides the perfect scene-setter to the brand’s ‘60 Years of the Seven’ anniversary, which will be celebrated next year. 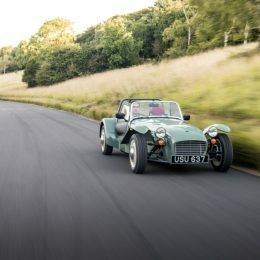 The Sprint, priced from £27,995, will finally be available to order from September 9, when the car will be launched at the Goodwood Revival, a fittingly retro setting for a car with one wheel firmly planted in the ‘60s. 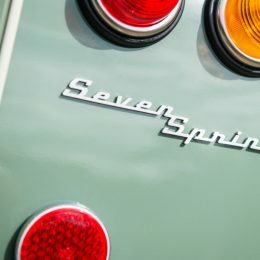 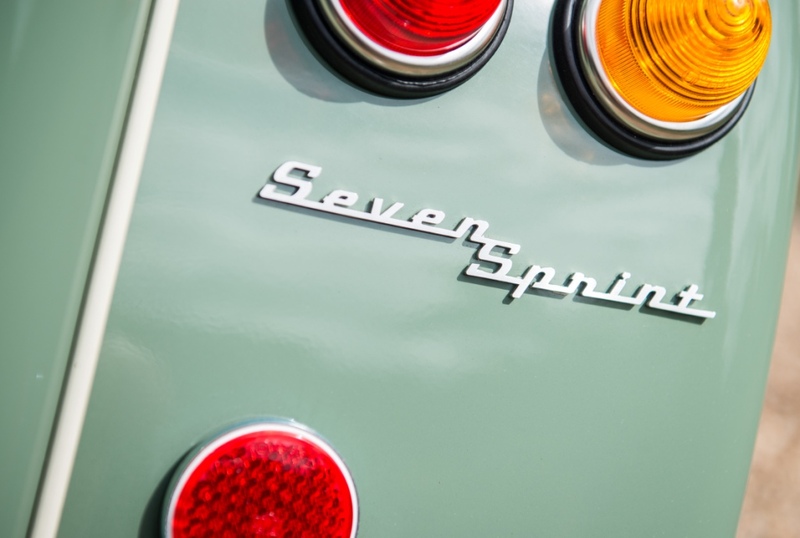 Powered by the same 80hp, three-cylinder Suzuki engine installed in Caterham’s entry-level Seven 160 model, the Sprint features a host of nostalgia-soaked features, including a choice of six paint colours that were original British manufacturer colours available in 1966/67. 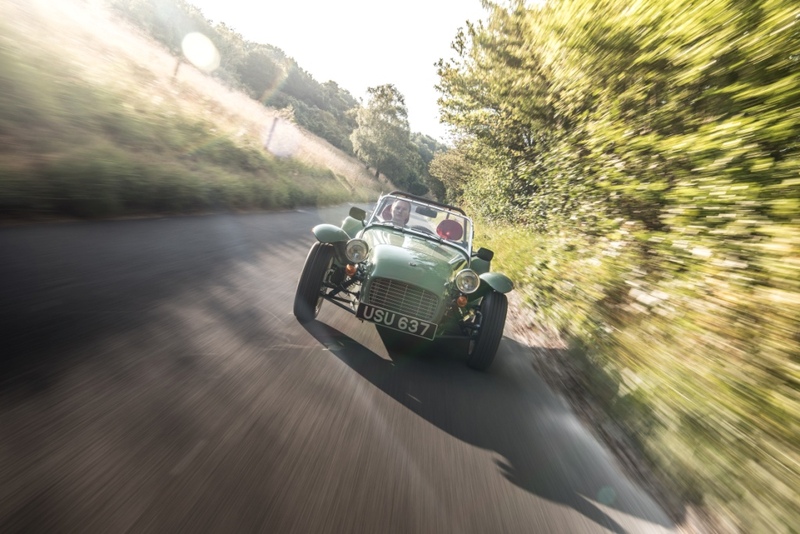 The launch of the Sprint heralds the start of Caterham’s ‘60 years of the Seven’ celebrations, which will culminate with a spectacular Caterham festival at Donington Park next summer. 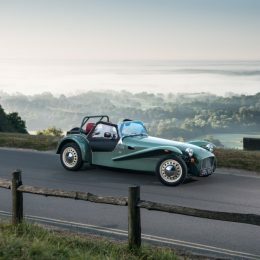 To reflect the anniversary further, only 60 Sprints will be destined for the UK and European markets. 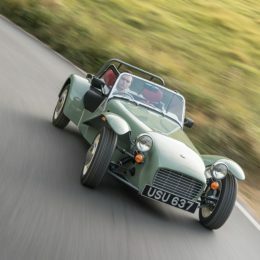 The Sprint chassis is powder-coated grey, making it period-accurate for a Series 2 Lotus 7, while the suspension and rollover bar are also reminiscent of Colin Chapman’s original. 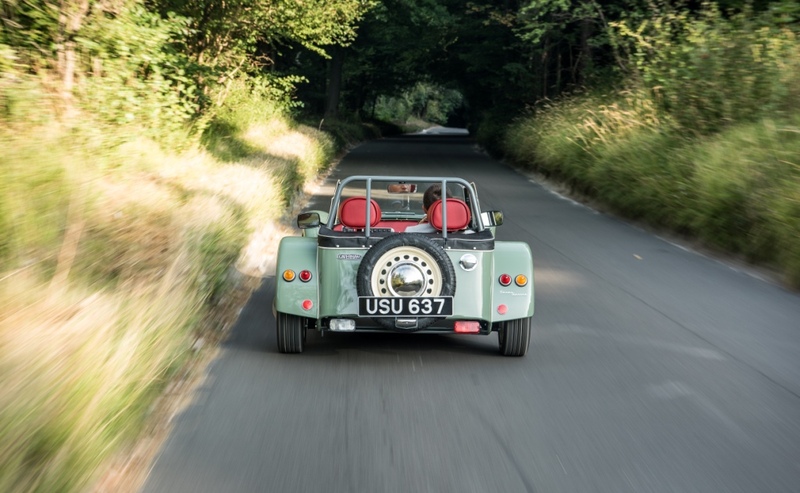 With flared front wings, polished exhaust silencer and uniquely retro-styled, individual rear lights, the Sprint harks back to the early days of the Seven and the choice of paint colours completes the exterior effect. 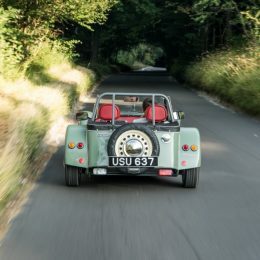 Wheels will be painted cream and finished with polished hubcaps, while the main bodywork, emblazoned with retro Caterham branding and Sprint logo, is available in original British colours, named by Caterham to reflect their heritage – Cream, Mellow Yellow, Regency Red, Camberwick Green, British Racing Green and Misty Blue. 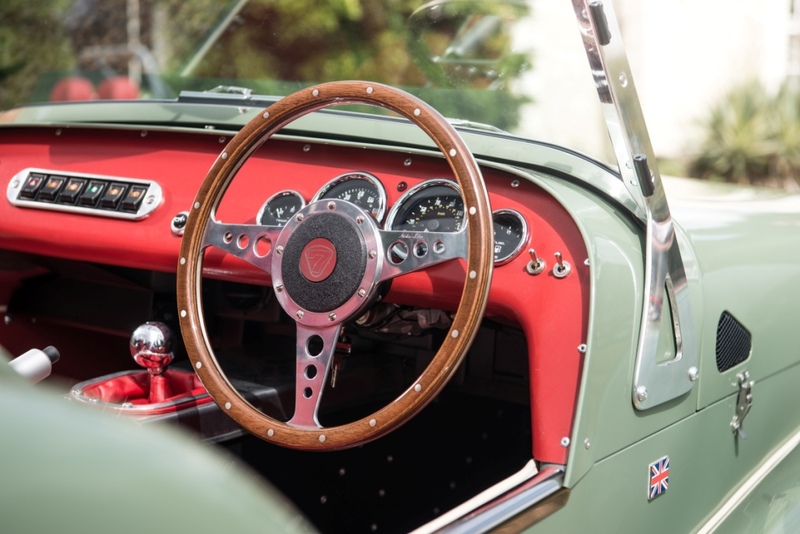 Inside the cockpit, the sepia-toned impression continues, with a wooden-rimmed sports steering wheel and dashboard in wood effect, complete with a classic oOOo instrument layout. 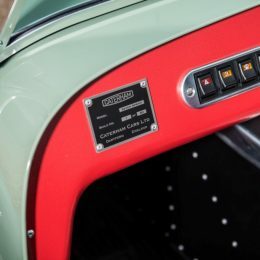 The tacho even features red and yellow sectors, in true ‘60s style. 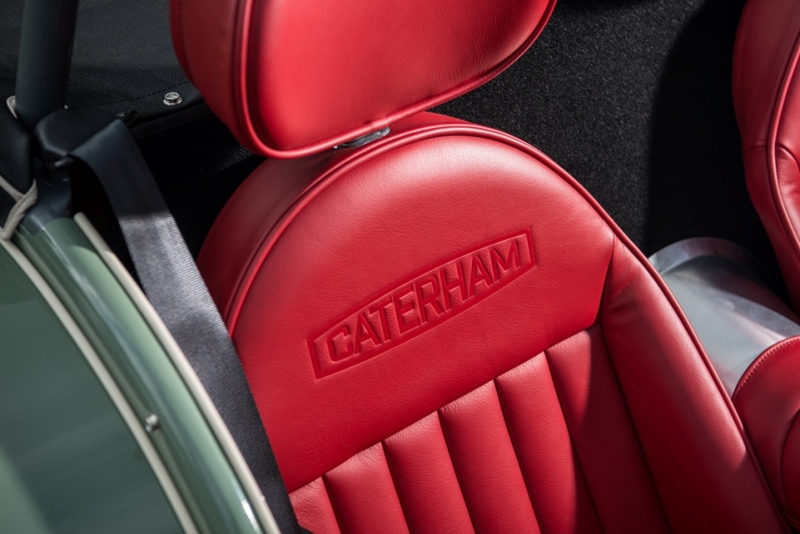 Meanwhile, the interior panels and Muirhead Scottish seat upholstery is hand-stitched in the period style and finished in striking scarlet red. 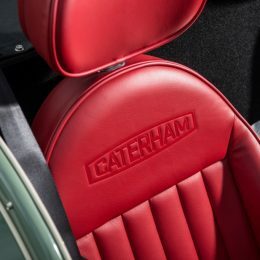 The interior and luggage space are fully carpeted, as befits a ‘60s connoisseur and there are very few concessions to modern life, the main one being the three-pot Suzuki engine, which generates performance good enough to be considered beyond mundane but perfectly capable of a more leisurely application. 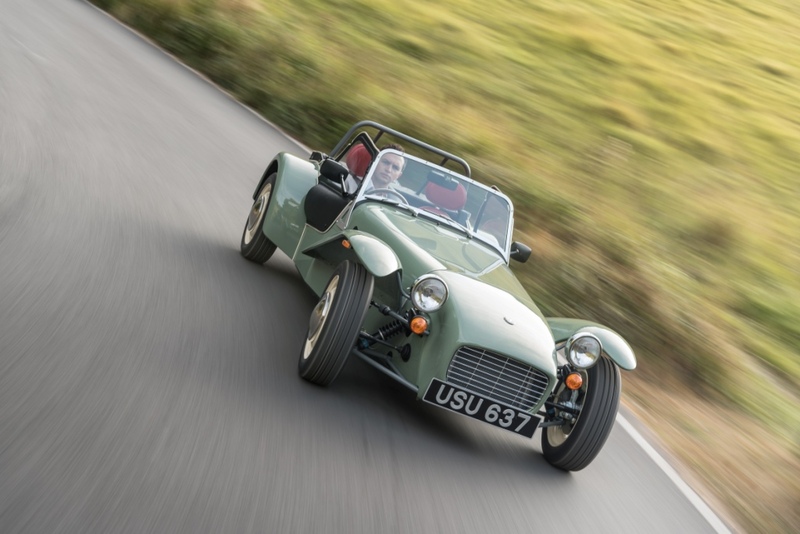 The Caterham Seven Sprint will be available as a factory-built car only. 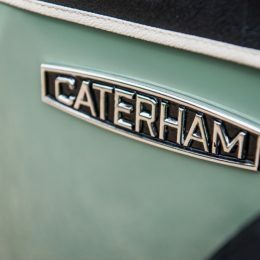 Please visit www.caterham.co.uk or call 01293 312300 for more information.